We agree with the Free Jazz blog – it was a great year for the music! All of the supposed political roadblocks, populism, and discouragements have not stopped creativity; in fact, it has obviously fed it! The Heberer/Kaufmann/Filiano session was a smashing success, with all three musicians in great form. Even given the eight compositions that the musicians brought collectively to the session, the free improvisations were all top-notch. More details forthcoming on what promises to be a very notable release. On January 22, 2013, three innovative musicians recorded at Studio de Meudon in Paris, France for nuscope recordings. Swiss trombonist Samuel Blaser, who currently resides in Berlin, Germany and Brooklyn, New York, is best known for his meditative, original, and exciting trombone playing. Paris resident Benoît Delbecq, of course, is a truly original pianist who merges such seemingly disparate influences as Gyorgy Ligeti, John Cage, Steve Lacy, and even electronica into a new and refreshing style. Gerry Hemingway, now resident in Luzern, Switzerland, is a penultimate drummer and composer who has performed with many musicians including Anthony Braxton and Ray Anderson. 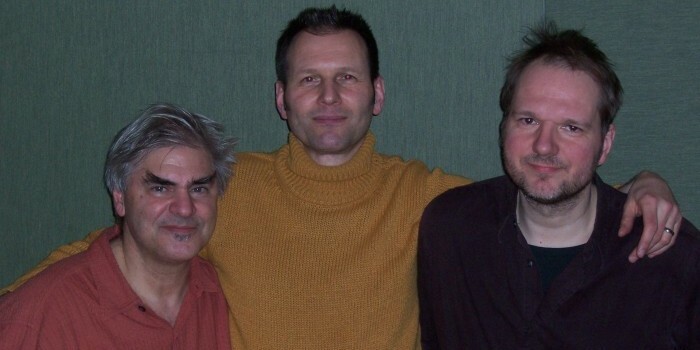 Hemingway has recorded for nuscope as a part of his great trio with Georg Graewe and Ernst Reijseger (Counterfactuals – CD 1010). All three musicians have ties to one another. Blaser and Delbecq recently recorded and toured with Francois Houle’s sextet. 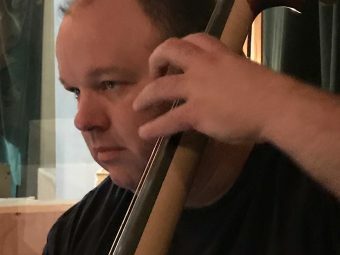 Hemingway is the replacement for the late Paul Motian in Blaser’s Consort in Motion, who is about to record a new disc in February for the Songlines label. 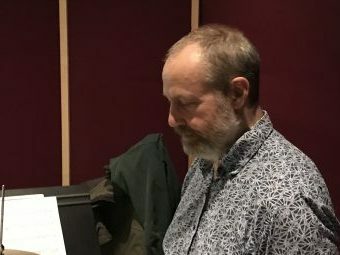 Delbecq and Hemingway have performed as a duo, and also recorded as a part of a special double trio featuring pianist Fred Hersch (also for Songlines). This recording is to include compositions by all musicians. 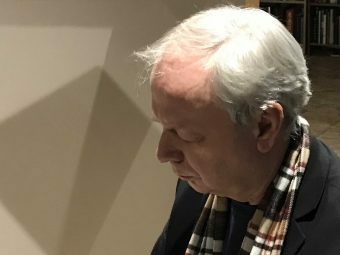 Following the recording, Delbecq will go into Plush Studio with the great engineer, Etienne Bultingaire, to mix the recording. Nuscope’s engineer, Alan Bise will follow with the final master for 88.2/24 bit download and CD. With luck, the recording will be released in October of this year. This should be an exciting project that is of utmost interest to fans of all three musicians. As of very recently, 12 of nuscope’s 26 recordings are available as high resolution MP3, AIFF, and FLAC files on the HDTracks website. Alberto Braida’s Talus is also available as an 88.2 kHz/24 bit download for those who have the capacity to download music files that approach and even surpass SACD sound quality. David and Norman Chesky of the audiophile record label Chesky Records founded HDtracks, which is a high-quality music download service offering a diverse catalog of independent music from around the world. As a result, HDtracks lets users download unencrypted files that play on any computer or portable device. HDtracks is the premiere online music store for audiophiles who demand the best-sounding music possible. As consumers are left with fewer options to purchase high quality recordings, the Cheskys started HDtracks to fill the void. Therefore, nuscope recordings is proud to have many of its recordings available on HDTracks.